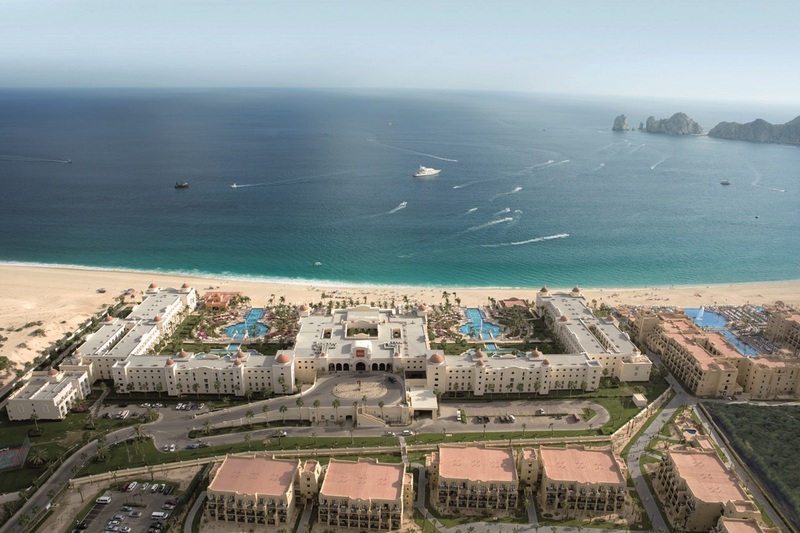 On Banderas Bay, you’ll relax at two RIU properties – Riu Palace Cabo San Lucas and Riu Santa Fe. 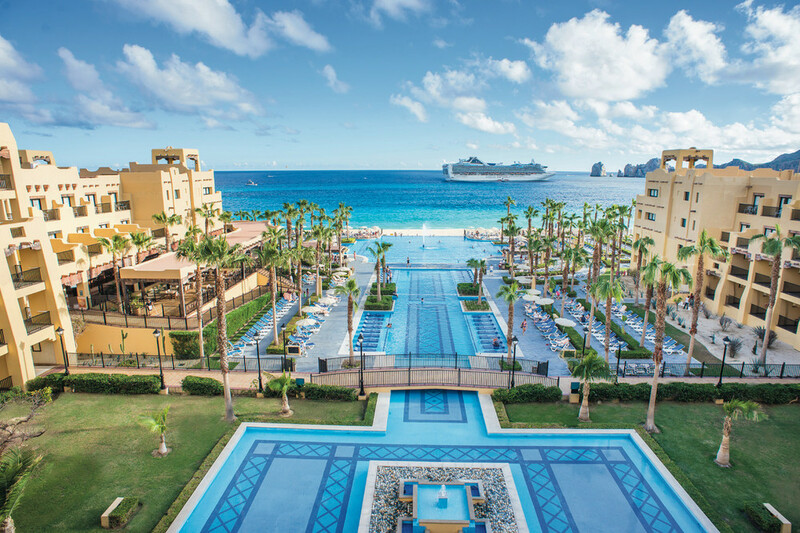 Witness the striking setting of RIU’s all-inclusive Los Cabos hotels situated on the southern tip of the peninsula of Baja California and savor their sheer exclusivity. This destination is one of the most beautiful and glamorous destinations in Mexico. This zone, located between the towns of San José del Cabo and Cabo San Lucas, surprises travelers with the many attractions it offers. 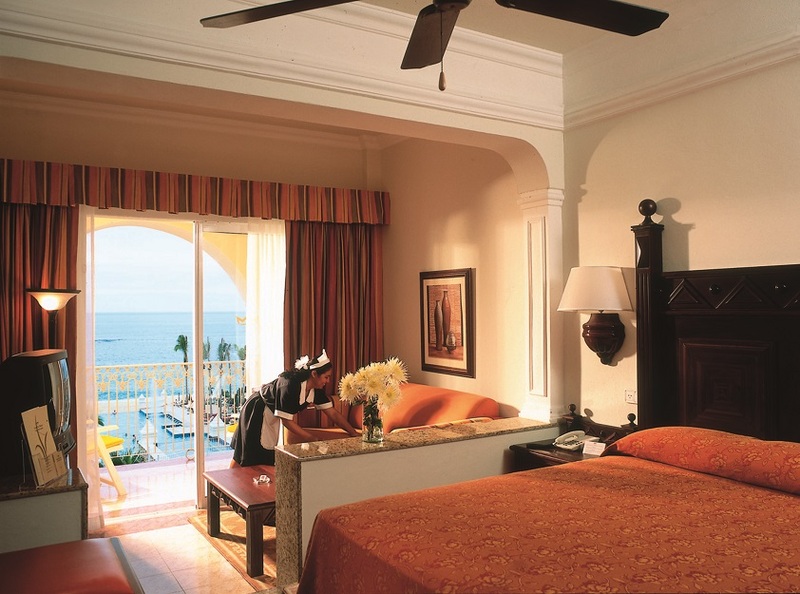 Experience the chic, sophisticated decor at Riu Palace Cabo San Lucas. 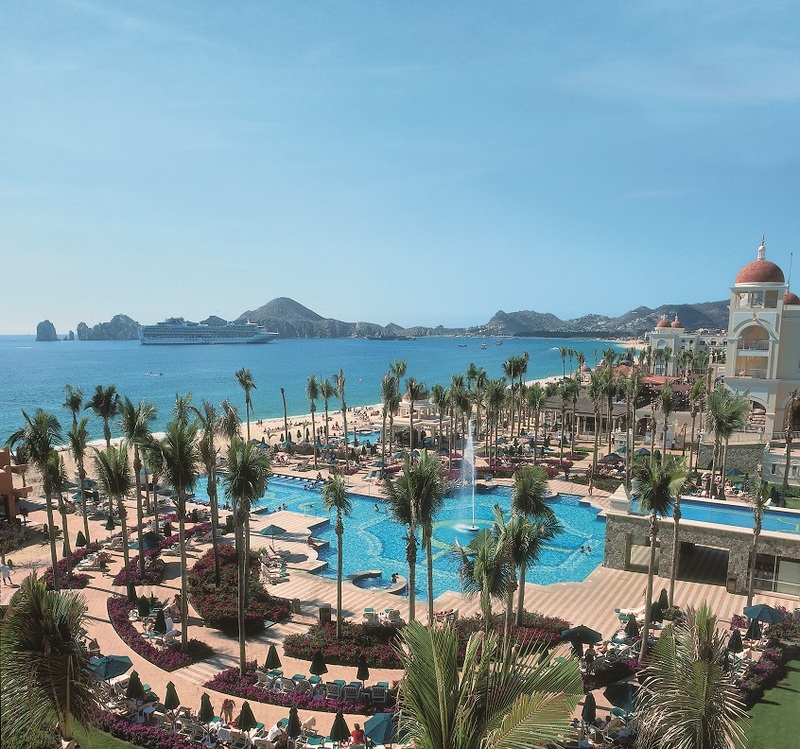 In Cabo San Lucas, Mexico, we find the hotel Riu Palace Cabo San Lucas (24- hour all inclusive). It is surrounded by splendid gardens with beautiful views of the beach and luxurious service for guests to enjoy during their stay. This palace, with its relaxing atmosphere, offers the best way to regain strength and escape from the hustle and bustle of the city. It includes two fresh water swimming pools, a Jacuzzi, solarium terrace, gym, sauna, and the “Renova Spa” wellness center with a range of different treatments. Enjoy all-inclusive offerings at one of the fine restaurants or, at Riu Palace Cabo San Lucas, order 24-hour room service. Thanks to the all inclusive program, the clients can enjoy Mexican cuisine at its best at San Jose’s restaurant. It includes a wide variety of recipes and is recognized for its distinctive and sophisticated flavors which incorporate many spices. It is a combination of gastronomic traditions, including Mesoamerican and European ones, as well as many others, which is why the resort has a buffet restaurant and the different themed restaurants: the Japanese, Misaki or the exclusive, Krystal, among others. The other RIU resort in Los Cabos is the hotel Riu Santa Fe. This complex is perfect for those who are keen to do many different water sports since the destination has fantastic weather conditions and the resort is close to the beach. 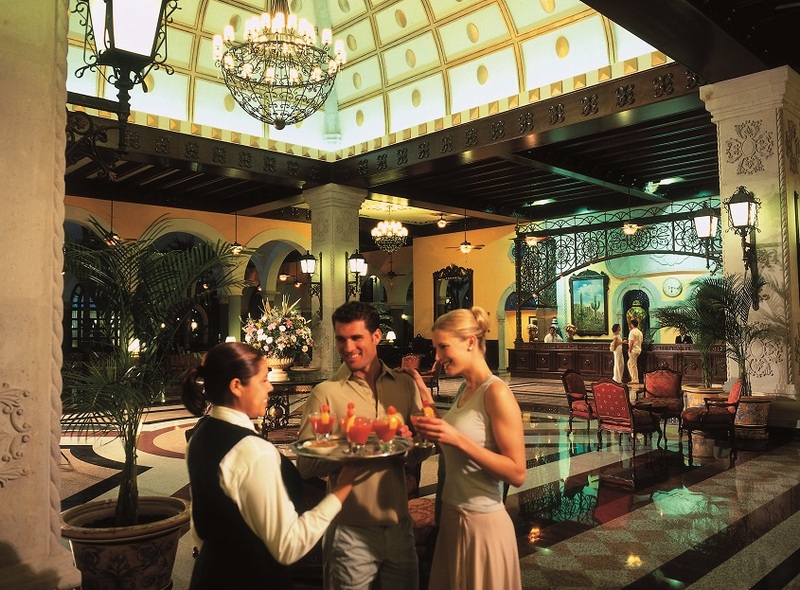 Riu Santa Fe has four restaurants offering a complete gastronomic experience. The main restaurant, La Baja California, presents a full buffet of international cookery with live cooking stations. For dinner, guests can choose from the Italian Carusso, the Asian Zashila and the steakhouse Torote. When it comes to relaxing, the new resort has five bars including three poolside bars with swim-up options and La Monumental, a lounge bar with a picturesque terrace. Though Riu Sante Fe and Riu Palace Cabo San Lucas are by a swim-able beach, there’s still nothing like laying out by the pool/s. In both resorts, the guests will also find numerous activities and sports to enjoy during your stay. They can go diving, play volleyball, do gymnastics, windsurfing, catamaran, kayaking, bodyboarding, golf and many water sports at the beach. At night they mustn’t miss the different shows and live music organised by RIU’s entertainers. If the clients want to go dancing they can visit to the “Pacha” club where our DJs play the best beats. Their children will have a ball with other children in the Riu Land program, where crafts and sports are just some of the leisure activities organized by our entertainers. 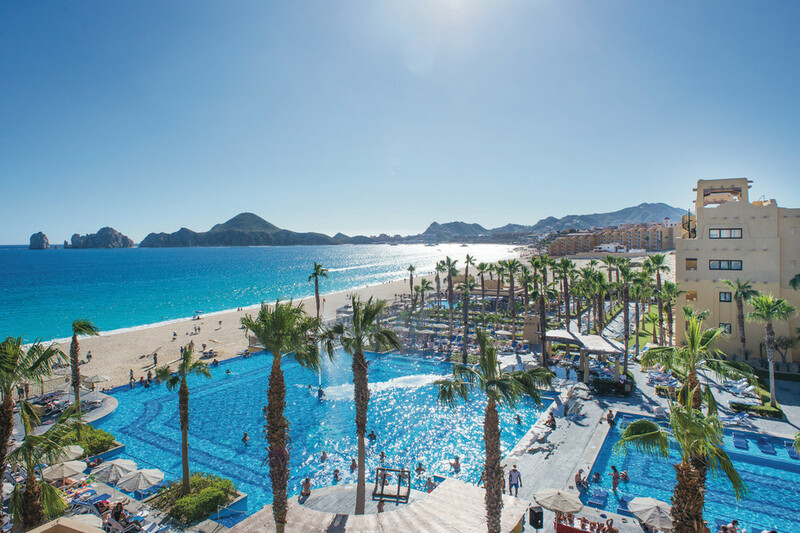 Did we say the pools rock at Riu Palace Cabo San Lucas and Riu Santa Fe? In the south of the Baja California peninsula you’ll find Los Cabos, one of the most beautiful and exclusive destinations in Mexico. It is an amazing place with numerous attractions and one of the most spectacular natural sights in the world. If you want to discover the surroundings and go on excursions we recommend you to visit places like San José del Cabo, the swamp conservation area of San José del Cabo, the National Marine Park of Cabo Pulmo, and spectacular beaches such as Playa El Médano and Playa El Arco with fantastic blue-whale watching. So book your next Riu escape today. Contact your local travel agent and request a GOGO Vacations‘ package today! About RIU: The international RIU chain was founded in Mallorca by the Riu Family in 1953 as a small holiday firm and is still owned by the family’s third generation. The company specializes in holiday resorts and nearly 70% of its establishments offer its acclaimed All Inclusive by RIU service. With the inauguration of its first city hotel in 2010, RIU is expanding its range of products with its own line of city hotels called Riu Plaza. RIU Hotels & Resorts now has more than 100 hotels in 16 countries which welcome over 3.5 million guests a year.